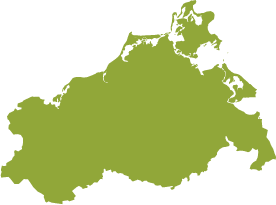 Since the founding of the association on 4 December 2000, Marketinggesellschaft der Agrar- und Ernährungswirtschaft Mecklenburg-Vorpommern e.V. (AMV) has worked for producers, processors and manufacturers of foodstuffs and semi-luxury foods in the food production sector and the food trades in Mecklenburg-Vorpommern. The association has established itself in the most important sector of the manufacturing industry in Mecklenburg-Vorpommern - agriculture and food production. As the most important network for the food production sector in the state, AMV organises joint marketing activities and focuses on sustainable marketing. The association thus helps the sector to both secure jobs and promote job growth. Marketinggesellschaft der Agrar- und Ernährungswirtschaft Mecklenburg-Vorpommern e.V. (AMV) links the main players in the food production sector: Manufacturers of meat products and small goods, fish products, beverages, milk and dairy products, fruit, vegetables and potato products as well as baked goods and other product groups covering a diverse range of regional delicacies and specialities. As an important part of the local agriculture and food production sector, the organic sector is also well represented within AMV. The association currently has 66 member businesses, bringing together a workforce of about 6000 and a turnover of approx. €1.5 billion. 43 sponsor members with a total of about 3500 employees and 16 collaborative partners work closely together with the members of the association. As the central point of contact for food producers in the state, AMV is a cooperative network that represents the best interests of all partners, communicating these interests to the public with focus. There is a constant exchange of experience and knowledge transfer allowing members, sponsor members and cooperative partners to benefit and learn from one another. 'We create connections.' From the outset our motto both reflects the character of the association and is its guiding principle.